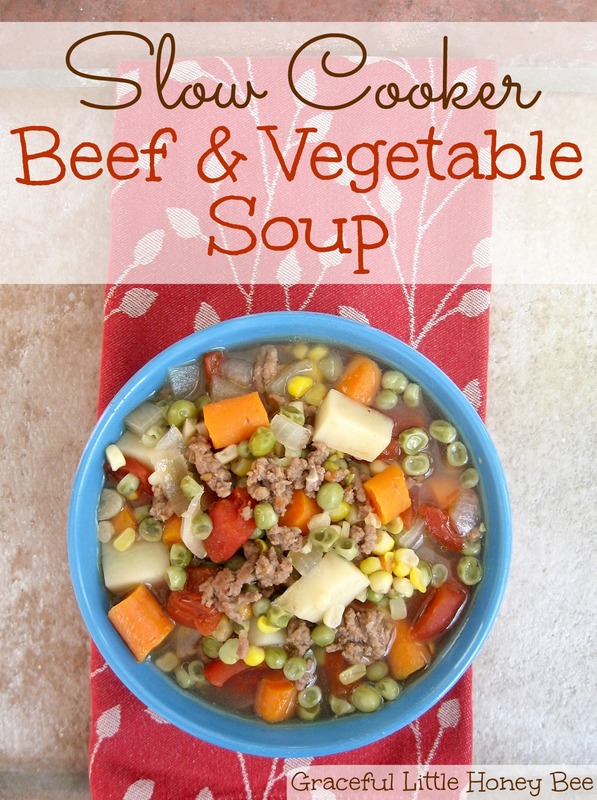 I love slow cooker soup recipes that involve LOTS of vegetables and this one fits the bill. The great thing about this recipe is that it is totally customizable to what your family likes or what you have in the pantry. If you don’t like carrots, but you love zucchini or okra then swap them out! This recipe was created from what I had on hand in my pantry so don’t be afraid to change it up to better fit your needs. I really love this dish because it’s delicious, filling and healthy so I hope you will give it a try. Enjoy! Step 1: Place everything in slow cooker. Step 2: Cook on low 8 hours. Place everything in slow cooker.